Sales of medical marijuana are expected to begin in Pennsylvania this spring, with the state poised to become one of the largest MMJ markets in the nation. With cultivation underway and both patients and doctors registering with the program, the state’s MMJ market is progressing ahead of schedule – a rarity in the cannabis industry. Pennsylvania is the fifth-largest state in the country, home to nearly 13 million people. Considering the state’s extensive list of conditions that can be treated with MMJ – including chronic pain – the patient base could reach 100,000-200,000 once the market matures. According to Marijuana Business Daily estimates, the state’s dispensary sales could exceed $100 million annually a few years after the program launches. A total of 50 dispensary licenses and 25 grower/processor licenses will be issued in Pennsylvania. However, the permitting process is being rolled out in two phases. To date, Pennsylvania’s Department of Health has issued 27 dispensary licenses and 12 grower/processor licenses. No timeline has been released for the second phase of licensing. Each dispensary license holder is authorized to open up to three storefronts, meaning a maximum of 150 dispensaries will be allowed to open throughout the state. Several of the 27 current dispensary license holders have chosen to open multiple locations, with a total of 52 dispensary storefronts expected to open shortly after the program launches. 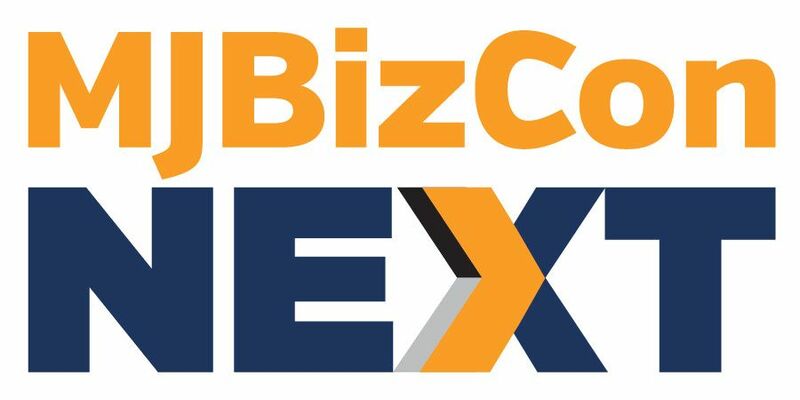 Given the potential size of Pennsylvania’s MMJ market and the lack of any residency requirements, a significant amount of companies based outside Pennsylvania have pursued MMJ business licenses in the state. Four of the 12 grower/processor licenses and six of the 27 dispensary licenses were granted to out-of-state companies. Similar to New York, the sale of both flower and edibles are prohibited in Pennsylvania. This has potential to suppress MMJ sales, because some potential patients may choose to stay in the black market. Of the four states that border Pennsylvania with active MMJ programs – Delaware, Maryland, New Jersey and New York – the average time for the first licensed dispensary to open after the state’s MMJ bill passed was 37 months. 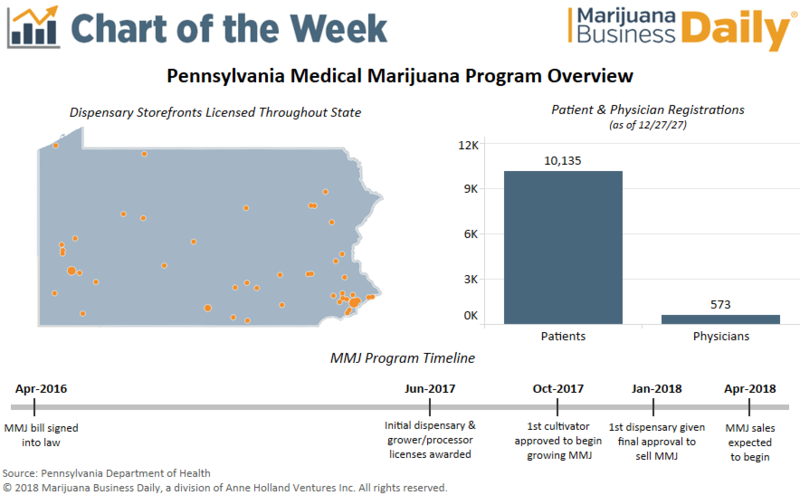 Should Pennsylvania begin MMJ sales in or around April, as expected, it will beat this average elapsed time from legalization to sales by over a year. Agreed. It is a natural and NOT processed drug like REAL schedule I hard drugs really ARE:deadly and addictive. Why the ban on flower and edibles? Lack of testing facilities to ensure proper dosing with the edibles? Then why not allow items easy to manufacture and test such as dissolving sublingual strips, gummies and quick dissolving tablets? Don’t want people “smoking” joints? What is the issue with vaping flower? I agree that the ban on edibles and the flower itself makes no sense. If marijuana is legalized in NJ, it’s predicted that these dispensaries in west PA will lose a lot of money due to people going across state lines for flower. PA needs to remove this ban as there is no logical reason for it and will only fuel the black market due to customers not getting what they want. Supply and demand. If PA doesn’t have what the customer wants then the black market will! The timeline is even better than what you are reporting. Pittsburgh’s first dispensary is set to open February 15!! !